Has Warner Bros. Found Their Shazam Director? It appears that a Shazam director has been found as The Wrap today reports that Lights Out helmer David F. Sandberg is prepared to call upon the strength of Hercules, the stamina of Atlas, the power of Zeus, the courage of Achilles, and the speed of Mercury for the DC Comics adaptation. Sandberg, who made his feature film debut with Light Out (based on his own original short), is also the director behind Warner Bros.‘ upcoming Annabelle 2. Horror fans can likely take away from this news that the August 11 The Conjuring sequel spinoff sequel is looking solid at the studio. Created in 1939 by artist C. C. Beck and writer Bill Parker, Shazam first appeared in Fawcett Comics’ Whiz Comics #2. By saying the world “Shazam,” teenager Billy Batson was transformed into the “world’s mightiest mortal” and given extraordinary abilities by ancient gods. Originally known as Captain Marvel, legal disputes between DC and Marvel comics over the decades led to the hero receiving an official name change in 2011. The Shazam movie is set to star Dwayne Johnson as Black Adam and will take place in the same cinematic universe as Man of Steel, Batman v Superman: Dawn of Justice and Suicide Squad. Jack the Giant Slayer scribe Darren Lemke is penning the script for Shazam. Shazam was previously announced for an April 5, 2019, just a month before Marvel’s Avengers: Infinity War Part II. Johnson previously teased on social media, however, that the film could arrive earlier than that. 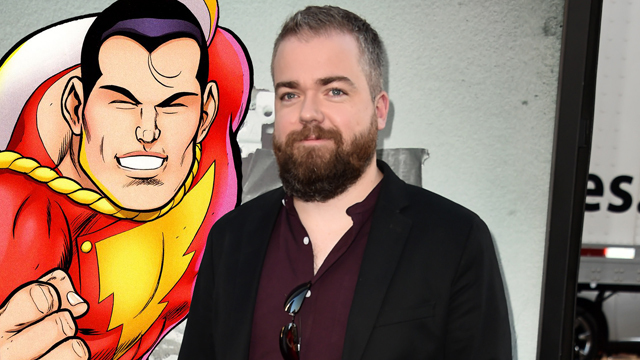 What do you think of David F. Sandberg as the Shazam director? Who do you want to see in the title role? Let us know your thoughts in the comments below!